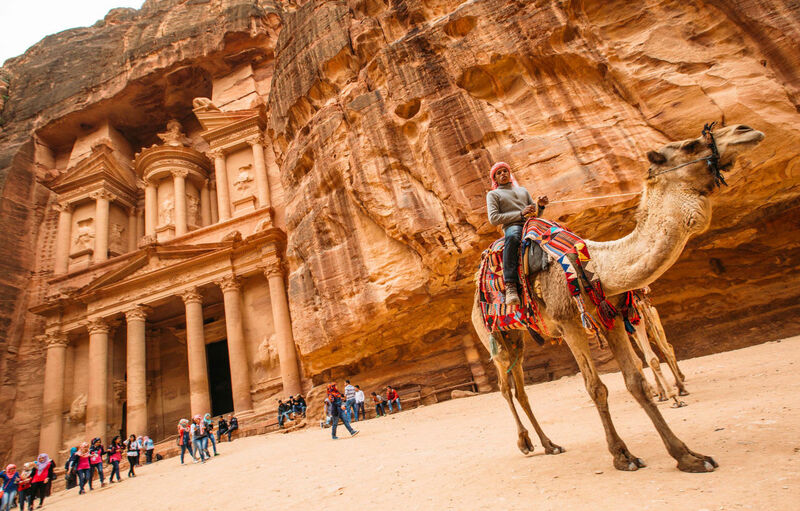 There are plenty of buckets lists to go around, but the various versions of the 7 Wonders of the World seem to remain people’s top destinations — for good reason. While you may battle a few tourists to enjoy the place, these really are incredible places to witness firsthand. The 7 “new” Wonders of the World were voted in by the public — I, for one, think they nailed it. The Taj is a labor of love. Emporer Shah Jahan built it in honor of his favorite wife, Mumtaz Mahal. She bore him 14 children but died in labor. Jahan was lost without her and in 1632 began construction on what is probably the world’s most elaborate and expensive gravesite (though, the tomb itself is unadorned as per Muslim law). Construction required a rumored 20,000 laborers and 1,000 elephants who hauled marble from all over the region. 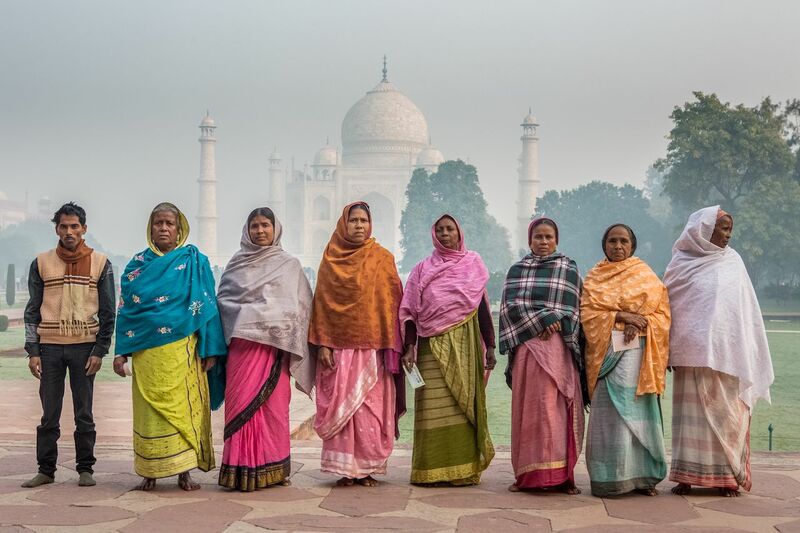 The Taj is famously symmetrical which is part of why it’s so beautiful to look at and to photograph. If you go, go very early for sunrise before it gets overwhelmed with visitors. This iconic statue is found in an equally iconic city, Rio De Janeiro. It was constructed between 1922 and 1931 and stands 98 feet tall. Its purpose was to counteract the increasingly “sinful” nature of the Republic of Brazil, which had separated church from state in 1889. Christ is usually depicted on a cross, but this Christ has his arms open so, despite original intentions, is generally viewed as a symbol of peace and welcoming. It is covered in nearly 6 million small-stone tiles, painstaking applied by devout women (who wrote prayers, messages, or their boyfriends’ names on the backs of many tiles). You can get to the statue by cog train, taxi, van, or on foot if you’re able. It offers beautiful views at sunset of the city, Sugarloaf mountain, and the bay. Petra means “rock,” which is a boring name for a very not-boring place. It’s in the south of Jordan between the Dead Sea and the Red Sea, several hours of driving from the capital city, Amman, and it is believed to have been established around 300 BC. To access it, you have to walk about 15 minutes through a narrow canyon — called The Siq — which some say is part of the excitement (and I tend to agree). You come out of the narrow passage and are greeted with one of the greatest sights on earth: the Treasury. Carved into the rock face, it’s enormous and overwhelming and the sandstone is a kaleidoscope of pinks and orange and reds — and the colors turn bolder and bolder at sunset, setting the city on fire (not just the treasury, but the whole city). It was a forgotten city for a while until a Swiss explorer rediscovered it in 1812 — can you imagine that moment? If you go, plan to visit on a day where there is an after-dark event. Stay in the ruins until dusk and then head back to the treasury — you’ll be treated with candlelight and a view before the crowds arrive. The name, The Great Wall, is somewhat a misnomer. “The Great Wall” is not continuous, it’s actually many walls built at different times and for different reasons; many were joined together but gaps still exist. Some parts of the wall feel newer and almost pristine — these were built during the Ming Dynasty when the Ming were at war with Mongolians around the 1300s. The older walls date back as far as 700 BC and these sections show their age today. Still, the Wall itself weaves and winds over the hills where China borders Mongolia, measuring about 20,000 km and crossing 9 provinces. This beauty was built between 72 AD and 80 AD, in Rome. It is the world’s largest amphitheater, with over 80 entrances and seating for at least 50,000 people. Spectators would come to watch gladiators combat, animals fight (or be hunted), and much more. While some parts of the Colosseum have crumbled — from earthquakes, or looters, or vandals, or fire — it is still a gorgeous sight despite the throngs of tourists. 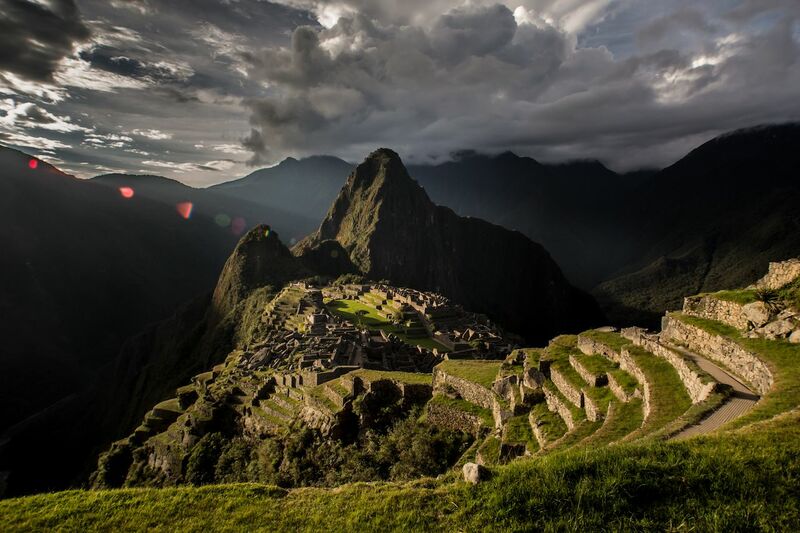 Machu Picchu is one of the most impressive sites on our planet. It dates back to the 15th century and the height of the Incan Empire. It is extremely well built and well maintained and sits at 7,000 ft above sea level. In the indigenous tongue, Quechua, it means Old Peak. While it’s magnificent, it’s estimated only about 750 people lived here, as it was a royal estate and citadel, not really a city. You can reach Machu by train from Cusco to the town of Aguas Calientes, and from there you can hike or take a bus to the entrance; some savvy travelers opt to do a hike from Cusco and arrive at Machu 4-6 days later. Arrive very early for sunrise, or come later for nearly-sunset (you will have to exit before true sunset, but it is quieter). Found in the Yucatan state, Chichen Itza is a massive Mayan city that was once a powerhouse in the area. Its heyday was about 600 AD until about 1200 AD, and its name means “at the mouth of the well of Itza.” As to what Itza is, it either refers to an ethnic group, or possibly is a translation meaning “enchanter of the waters.” The name makes sense either way, as the Yucatan is famous for its underwater rivers and open sinkholes filled with fresh water known as cenotes, so water was a huge part of life here — and probably a part of the city’s success. It did eventually decline — reasons and theories vary — but the area is well kept and an easy visit from Cancun or the Maya Riveria. Go early to avoid crowds, or go on March 21st, the Spring Equinox, to witness the famous serpent effect on the main pyramid. More like this: How many of these 39 natural wonders of the world have you been to?